← What is the difference between an EIS and an EIA? 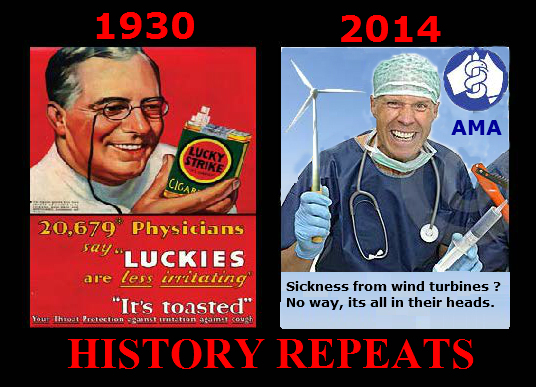 FACT: Wind Turbines Make You Sick. • Expert evidence presented to the Court should be, and should be seen to be, the independent product of the expert, uninfluenced as to form or content by the exigencies of litigation. • An expert witness should provide independent assistance to the Court by way of objective unbiased opinion in relation to matters within his expertise. • An expert witness should state the facts or assumption upon which his opinion is based. He should not omit to consider material facts which could detract from his concluded opinion. • An expert witness should make it clear when a particular question or issue falls outside his expertise. • If an expert’s opinion is not properly researched because he considers that insufficient data is available, then this must be stated with an indication that the opinion is no more than a provisional one. • If, after exchange of reports, an expert witness changes his view on a material matter having read the other side’s report or for any other reason, such change of view should be communicated to the other side. 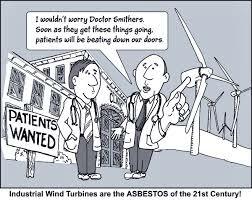 This entry was posted in Wind Turbine Syndrome; Professor Alun Evans and tagged Aarhus Treaty; Aarhus Convention; UN; EU; windfarms; NREAP; Pat Swords; Rabbitte; environment; wind turbines; consultation; EirGrid;, Alan Kelly; Labour Party; wind turbines; setback distance, bias; An Bord Pleanala; Paudie Coffey; Fine Gael; Fianna Fail; wind farms; planning permission; Supreme Court; High Court; EirGrid, BW Energy; ReThink Pylons; Green Paper on Energy; wind turbines; GridLink; EirGrid; biomass; Solar PV; renewable energy, Coolnabacky; Laois; Kilkenny; An Bord Pleanala; Andrew Boyle; EirGrid; substation; 110kV; 400kV; Rabbitte; EirGrid; pylons; EMF; judicial review; High Court; appeal; justice; Fianna Fail; Fine Gael; L, wind turbine syndrome; epilepsy; sleeping disorder; animal deformity; ants; horses; bulls; humans. Bookmark the permalink. 16 Responses to FACT: Wind Turbines Make You Sick. Whilst one would hope that there are learned researchers beavering away on issues such as LFN to produce safeguards in the state authorities charged with preservation of public health, history teaches us that they are more likely to use our taxes to refute medical evidence. The first principle of groupthink is that the status quo must be preserved at all costs. Recent public inquiries show that groupthink continues to prevail. In the absence of constructive intervention by those charged with public protection, the only avenue remaining to the public is to protest at every possible venue and opportunity. Not a great way to run a country . . . . I read your article with interest, and subsequently the report, but it would appear that you have missed the point in both a general and specific context, though your take on it does make for catchy headline. What they mean by this statement is that ILFN is not yet recognized as an agent of disease, it is not covered by legislation. Permissible exposure levels for ILFN have not yet been determined, and dose-response relationships are unknown. Hence, no adequate standard exists to appropriately compare ILFN levels within the context of human health effects. Now that goes for any IFLN generator, including long haul Aircraft and residential air conditioning units not just wind turbines. On the more specific matter of this particular case, what their report presents is a professional opinion that Low Frequency Noise caused adverse health effects on both the residence and livestock. They do not provide empirical evidence, just background commentary on the case. However, looking into their report (the background data is a bit vague, but on consideration of what is there), this appears to be a logical conclusion. Recorded levels are in excess of the night time levels for sensitive areas in Portugal (45dB) in the Master bedroom! – That is much louder than what is generally permitted here and in other jurisdictions, and well in excess of normal acceptability for indoor levels. Reading a translation of the Court judgment, it appears that this statutory exceedance that was focused on rather than this Low Frequency report , which reinforces the earlier point. By the way, did you read the part where the author states: “In no way can or should this report be construed as a document arguing for or against the implementation of industrial wind turbines;”!? Dr. Castelo Blanco, Dr. Alves Pereira correctly assert that more studies should be done on IFLN. This research team has done a lot of work on IFLN and offer a potentially useful platform from which an appropriate standard can be developed – but that goes for all sectors that they have researched, not just Wind Farms. Only then can we determine the meaningful thresholds for all machines that have the potential to produce IFLN (including Wind Turbines) and state where they cause adverse health effects. It would also be possible to compare the health effects of long term IFLN exposure levels between, say, Long Haul Aircraft, residential Air Conditioning Units and Wind Farms, though I suspect that such a comparison would not be one that necessarily supports an anti-wind agenda. Nevertheless, let’s make the call to discover more and develop an appropriate standard to protect everyone, instead of cherry-picking one particular commentary about a non-compliant situation and simply stating that “Wind Farms make you sick”. Because doing neither gives credence to the author’s conclusion nor to the argument that you are so desperately trying to make. Dramatization of a problem rarely leads to any sort of solution. I do not publish anonymous or pseudonym comments on my blog. If you could fully identify yourself and your interest / involvement in the area, I can then publish your comments and attempt a constructive reply. You have raised some of the more credible-sounding arguments regularly put forward by the wind industry. My blog is a legal blog and I write as a lawyer (I’m a bit dodgy with science) who is trying to understand the debate. From a personal perspective, I know many people whose lives have become a nightmare due to the erection of wind farms near their houses, and so you must excuse me if I occasionally write with a sense of outrage. I would invite people more qualified than I to respond to your comments which, on the face of it, appear logical and reasonable. I will do my best to respond as author of the blog. NEIL: I do not think that quote means that at all. What the authors are saying is that if we are to reach a point where there is to be a proper consideration of appropriate construction techniques, the wind industry must first admit that ILFN makes people sick. As long as the wind industry persists in denying what to sensible people is axiomatic, there can never be any progress in attempts to reach an amicable solution to the problem, particularly as regards acceptable setback distances. This is evidenced by the countless communities across the world who are vehemently protesting the siting of industrial wind farms in their neighbourhood, . Despite what the wind industry spin would have us believe, these people are not some lunatic fringe. I have spoken with a number of people suffering from nearby wind farms and they are just ordinary people whose lives have become a living nightmare since the arrival of their uninvited and unwelcome neighbours. Many do not understand the scientific reasons for their misery, only that they have been affected by the nearby wind farm. The comparison between wind turbines and aircraft and air conditioning is not a valid comparison. Unless one lived on top of a very busy airport there is no question that you would be subjected to the type of incessant low-frequency noise generated by wind turbines. In addition, airports have never denied that they are noisy! Finally, most people living near airports knew that they were buying a property near an airport as the airports were usually there already, whereas the relatively recent arrival of wind turbines means that most people were living there before their unwelcome new neighbour ruined their lives and devalued their property. The comparison between the low hum of an air conditioning unit and the “whop-whop” of a wind turbine does not merit comment but again, people actually choose to put air conditioning in their houses, and I doubt whether this applies to many people in Ireland in any event, given our cool climate. NEIL: Again, I beg to differ. The medical examinations carried out on the family provided cogent and empirical evidence that the family were now experiencing brain, heart and respiratory problems never before experienced. As the only difference before and after was the wind turbines, this, as you say, was logically concluded to be the cause (along with the authors’ extensive previous research coming to exactly the same conclusions). That is empirical to me. Whilst the authors might opine on an interpretation of this empirical data, a court of law deals in fact and it is fact that allowed the applicants to succeed in their case resulting in the court ordering the removal of the turbines. The same can be said for the deformities in the foals born after the installation of the wind turbines. This was that poor family’s business, and clearly the fact that the business was good before the turbines assumes that the horses used to be healthy. Again, the facts speak for themselves. NEIL: My major concern is the situation in Ireland. The point I was making was that three of the four turbines mentioned in the Portuguese judgment would have been allowed in Ireland where the current guidelines (not regulations, which don’t exist) allow a 500m setback distance. Most of the turbines currently planned or built in Ireland are bigger and noisier than those four considered in the Portuguese judgment, and similarly levels of noise in excess of 45dB are relatively commonplace in Ireland. You can find these details at http://www.windnoise.info/. I also seem to remember reading somewhere that the valleys, dips and hollows experienced in terrains like Ireland can actually amplify the noise coming off wind turbines so that the noise in your bedroom might be as loud or even louder than the original source, despite the setback distance. This is something that one of the sound engineers will need to comment on, as it is outside my area of expertise. I have no doubt that the international readers of this blog will be able to provide similar examples in their own countries. NEIL: If you read the blog again, you will see that I made this point as evidence of the authors’ neutrality (unlike the expert witnesses for the wind company, whose evidence was rejected by the Portuguese court) – they were at pains to point out that they supported wind/renewable energy in principle. BEN: “Dr. Castelo Blanco, Dr. Alves Pereira correctly assert that more studies should be done on IFLN. This research team has done a lot of work on IFLN and offer a potentially useful platform from which an appropriate standard can be developed – but that goes for all sectors that they have researched, not just Wind Farms. Only then can we determine the meaningful thresholds for all machines that have the potential to produce IFLN (including Wind Turbines) and state where they cause adverse health effects. It would also be possible to compare the health effects of long term IFLN exposure levels between, say, Long Haul Aircraft, residential Air Conditioning Units and Wind Farms, though I suspect that such a comparison would not be one that necessarily supports an anti-wind agenda. Nevertheless, let’s make the call to discover more and develop an appropriate standard to protect everyone, instead of cherry-picking one particular commentary about a non-compliant situation and simply stating that “Wind Farms make you sick”. Because doing neither gives credence to the author’s conclusion nor to the argument that you are so desperately trying to make. NEIL: Never knock a catchy headline – the wind industry certainly doesn’t: http://waubrafoundation.org.au/wp-content/uploads/2014/03/Doc7.jpg. I am reblogging this post as there have been some very good comments made by a member of the wind industry, and I would like people with more expertise than I to put up a proper response. Ben, you appear to take the view that “What they mean by this statement is that ILFN is not yet recognized as an agent of disease, it is not covered by legislation”. You are probably aware that the wheels of legislative change grind extremely slowly. Even a simple guideline change such as the outcome of the “Targeted Review in relation to Noise, Proximity and Shadow Flicker” published in December 2013 has not resulted in a change to the 2006 Wind Energy Development Guidelines, despite the passage of 18 months during which several hundred wind turbines have passed through the planning process. I assume from your comments that you are well aware of the multitude of reports and personal testimony from victims of ILFN, many of which are published on YouTube for public viewing. Please do understand that these are real, live people who have had their lives disrupted by the uninvited imposition of wind turbines adjacent to their homes. Scarcely the stuff of hysterical rabble-rousers. You write that “Hence, no adequate standard exists to appropriately compare ILFN levels within the context of human health effects. Now that goes for any IFLN generator, including long haul Aircraft and residential air conditioning units not just wind turbines”. I suggest that this is a spurious contention, since it is not common practice to arbitrarily site international airports in quiet rural areas. If you suggest that ILFN emanating from long haul aircraft overflying lands at altitudes of 10km and higher, the corollary is that the setback distance should be 10km or more. In many ways the wind industry is its own worst enemy. It has managed to alienate a well-disposed general public who actively support climate change mitigation by a combination of arrogance and sharp practice. Its protagonists are quick to dismiss its victims as neurotic fools, whilst at the same denying the existence of any adverse effects. When taken in conjunction with practices such as Christmas Eve planning applications, it is small wonder that the public have turned sour. ILFN denial simply reinforces that alienation. Thank you Nigel. On the money as always! I might approach this from a hybrid angle of law and science, in which in neither, an opinion gives an entitlement. Europe is divided into two administrative systems, that of civil law in Continental Europe and the common law system of UK, Ireland and Malta. Neil can in due course give a lawyer’s analysis of the differences, which are important, in particular where law and technical issues combine. In simple terms under common law, ‘if it is not specifically forbidden it is allowed’, which has its advantages in terms of flexibility, but results in major disadvantages in terms of predictability. Under civil law, the reverse essentially applies, ‘if it is not expressly allowed it is forbidden’. So to make a civil law system function and not cramp the pace of technological and societal development, there has to be a rapid development of regulations, decrees, associated technical standards, guidance, etc. Guess what, nobody does this better than the Germans, not least as they have a very impressive degree of social dialogue between worker representatives, regulators, industry bodies, academia, social insurers, etc. So we all know the advertisement: ‘Vorsprung durch Technik’ – advantage through technology. Yet does anybody know that the German legal system is essentially based around compliance with ‘Stand der Technik’, which translates as state of the art technology? So what exactly is that, well its a moving target based on the current regulations, technical guidance, standards, established know how, etc. which is constantly being updated and tweaked. So is it any surprise that in European legislation we start seeing the same approach. For instance, the Machinery Directive, which sets the standards for a multitude of machinery items, including wind turbines. The manufacturer has a legal obligation to comply with the essential health and safety requirements defined in Annex I, which are broad and aspirational goals rather than precise technical specifics. So the ‘state of the art’ is the benchmark. In essence technical knowledge and national standards evolve, get adopted at European and international level and are considered to give a presumption of conformity to the various aspirational requirements in the legislation; it’s a cycle which goes round and round with updates, revisions, etc. But guess what, the Germans like to be there first; ‘Made in Germany’ is a big brand. At PTB, not only acoustics experts, but also experts from the fields of biomagnetism (MEG) and functional magnetic resonance imaging (fMRI) were involved in the research activities. They have found out that humans can hear sounds lower than had previously been assumed. And the mechanisms of sound perception are much more complex than previously thought. Another vast field of research opens up here in which psychology also has to be taken into account. And there is definitely a need for further research. The results of the international research project might lead to the introduction of uniform – and binding – protection provisions for these limit ranges of hearing within Europe, since there have been none to date. Machinery must be designed and constructed in such a way that risks resulting from the emission of airborne noise are reduced to the lowest level, taking account of technical progress and the availability of means of reducing noise, in particular at source. One could also switch over to more familiar territory of environmental legislation and that there was an obligation to complete a Strategic Environmental Assessment, assess these impacts on human health, develop appropriate mitigation measures and monitor for unforeseen adverse impacts. None of which got done. So there is liability out there. Bottom line; this issue is not going to go away and if you are an investor / player in the wind energy scam, it is coming your way faster than you think! As a novice in this space but someone who has tried to read up as much as possible I offer up the following as a household which has had the low drone of 22 turbines within 4km of my home inflicted upon us. Is there LFN going on below this level? – probably – the 168 (i.e around 10,000/min) is much faster than the blades rotate (around 15 RPM) – we attribute it to either the gear boxes or the cooling fans. We have also done a short LFN measurement which can measure down to sub 1Hz – this detected other characteristics attributed to the wind farm carried out by an expert from Australia who has written multiple papers on the subject. So does any of this make you “sick” – your neighbours children/cat/dog/boiler….. noise can make you annoyed – perhaps even make you lose sleep – all of which are primary effects which might affect your health. Wind farms can have the same “annoying” effect. As an ex Londoner I do not go with the argument “you will get used to that” or “townies live with all sorts of noises” because wind farms have a range of characteristics which are unique. The brain “It has to continually process noise removing thinking capacity from the job in hand” — I find that very convincing. Does it not suffice to say that whereas the need is to end ALL burning of fossil fuels (which BTW, nuclear isn’t) and that it cannot be replaced by wind machines? The entire program should be abandoned, world-wide. Very simple Adam Smith reasoning should require that absolutely no preference be given it by governments. I believe we had the same Australian expert in our home in Wales! I presume his recording device was contained in a small yellow box ??? We first had a noise recording done by our council health officer in 2009, albeit in 1/3rd octave frequency bands. The frequency spectrum covered by the equipment was 10 – 20,000Hz. In an Excel spreadsheet, the recorded data showed showed maximum noise levels in the infrasound and low frequency spectrum (10-40Hz). The bell shaped curve of averaged values in each 1/3rd octave frequency band suggests that there was a significant amount of noise below 10Hz frequency band which was not recorded by the equipment. With a SE wind direction prevailing on the day we believe the source of the infrasound was a wind farm 25 miles (40km) away. Prior to that wind farm being commissioned in the autumn of 2006 my wife could hear no disturbing infrasound. On returning from a 3 month trip abroad in Dec 2006 my wife immediately noticed an unnatural infrasound noise, but it took 2 years to conclude that ifrasonic noise pollution was probably emitted by the above mentioned wind farm. The proof is not scientific, but it is our conclusion based on observations made over a number of years. We were fortunate enough to get 9 days of measurements from the infrasound recorder, but unfortunately, we had no period during that time when the infrasound was intense … my wife is an excellent infrasound detector! However, on nights of still atmospheric conditions we noticed significant peaks of infrasound at approx 0.15 Hz on several different nights. When there was a light to moderate wind creating a turbulent atmosphere, that peak was not present in the recorded data. We know what the effects of chronic infrasound exposure are likely to be and are even considering moving away from our once tranquil rural home. However, we don’t know where we can move to in order to excape the infrasound plague. We can’t see any turbines from our home, so visual pollution does not come into it. We really need medics as well as accousticians looking at this to see what effect it has on people. The issue is that some people are more affected by the noise than others. There is a lack of cause-effect detailed medical data at present but its slowly coming.